I translate texts specialized in information technology / production machines from English/German into Czech, ie. you send me your document written in English/German and I render it into Czech and send it back to you. 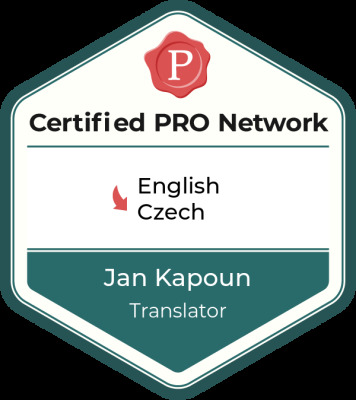 Subsequently, you can use such a translated document for your marketing/documentation needs that are focused on Czech speakers. an English/German to Czech translator specialized in information technology (IT), computer science, and production machines.